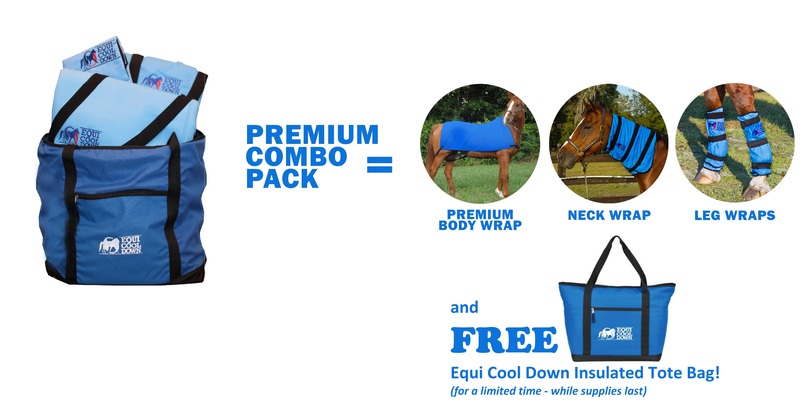 Our Premium Combo package gives you everything you’ll need to cool your horse quickly, easily and effectively! 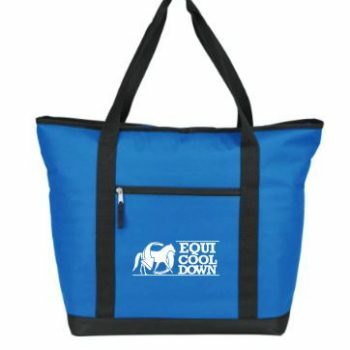 Contains 1 Deluxe ECD Equine Body Wrap, 1 ECD Equine Neck Wrap, 1 set of ECD Equine Leg Wraps…AND a FREE giant Equi Cool Down Insulated Tote Bag – large enough to carry and store all your Equi Cool Down Wraps! Retail value $344.96…yours for $289.97! 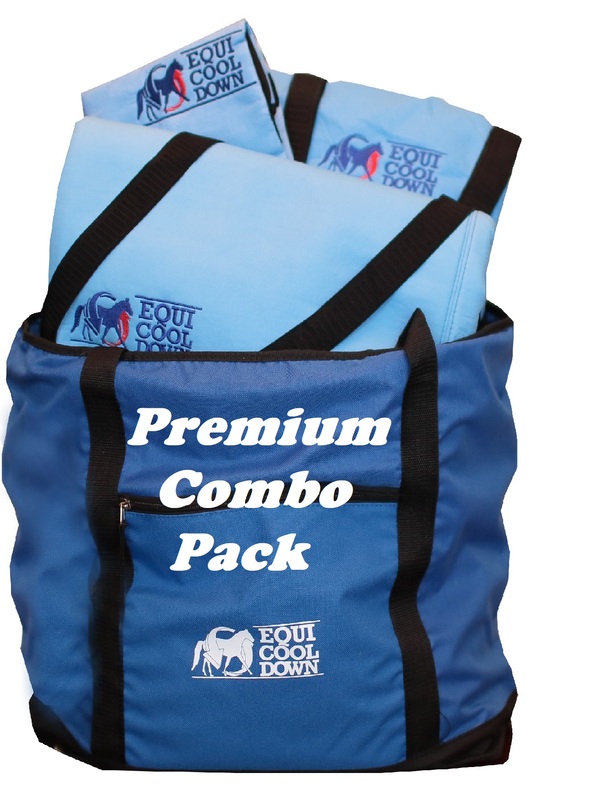 Our Premium Combo package gives you everything you’ll need to cool your horse quickly, easily and effectively! 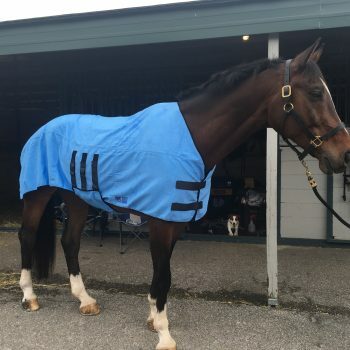 Contains 1 original ECD Equine Body Wrap, 1 ECD Equine Neck Wrap, 1 set of ECD Equine Leg Wraps AND a FREE Equi Cool Down Insulated Tote Bag! 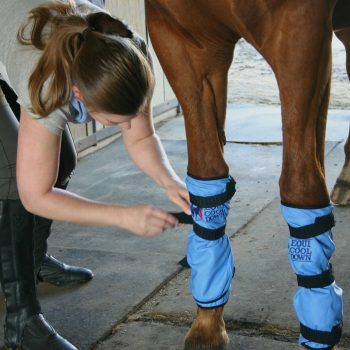 Retail value $344.96…yours for $289.97! Be the first to review “Premium Combo Pack” Click here to cancel reply.